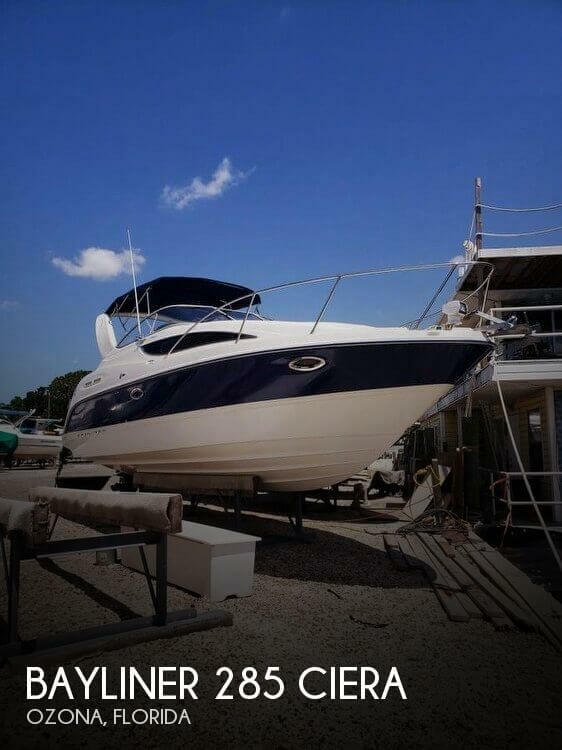 Original Owner + Bought from Marina where it is stored with all Service records The boat has been Marina maintained and receipts are available from at the Marina it is stored at. Her Decks Canvas & Enclosure all appear to be in great shape and visibility through all the isinglass is great! She was in the water last year and has not been sitting on land long. She is open to offers ! 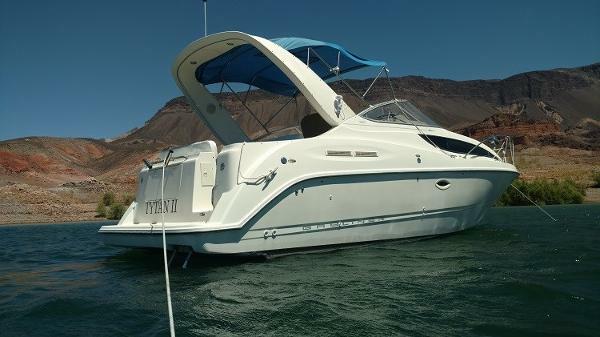 Stock #156658 Original Owner + Bought from Marina where it is stored with all Service records If you are in the market for an express cruiser, look no further than this 2004 Bayliner 285 CB, just reduced to $27,000 (offers encouraged). 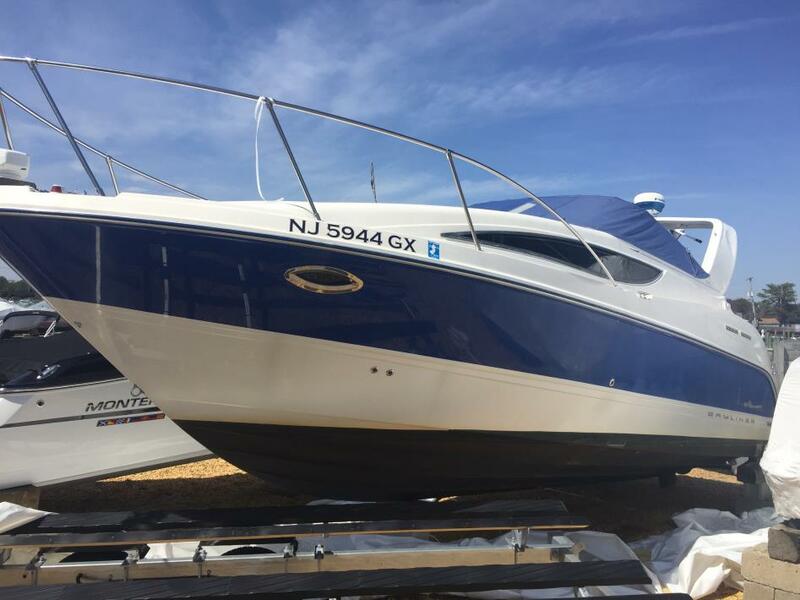 This boat is located in Red Bank, New Jersey and is in great condition. She is also equipped with a Mercruiser engine. Reason for selling is do not use. Everything on this boat is updated and/or looks great! The engine compartment is clean, the storage areas are clean. The canvas enclosure hasn't been folded, only rolled. The dinghy and kicker are also in good shape. The transom assembly was replaced in 2018, and the lighting has been updated to LED throughout. 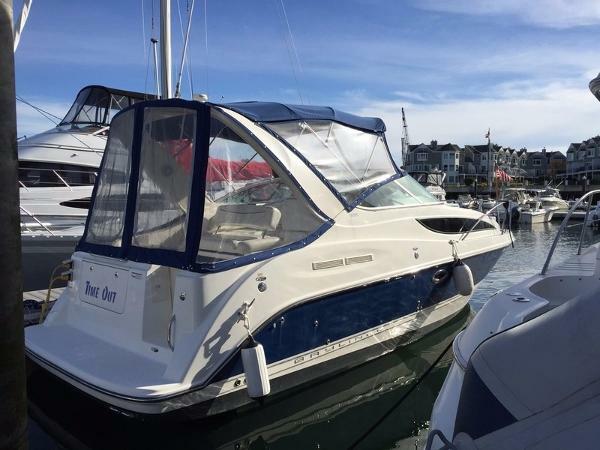 The boat had a full detail wax job in 2018, Stock #171121 Beautiful Bayliner 285 Sunbridge - low hours - many upgrades! 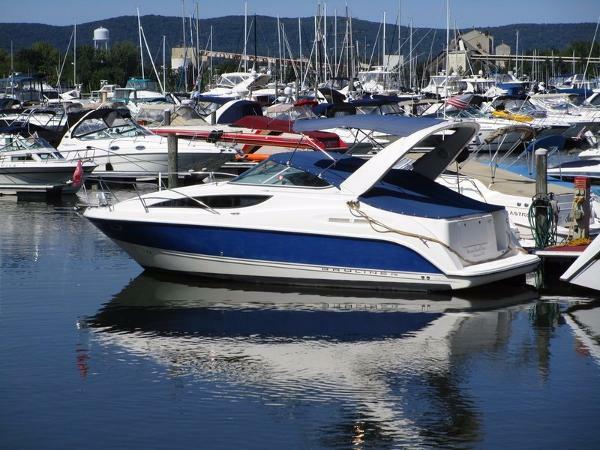 If you are in the market for an express cruiser, look no further than this 2005 Bayliner 285 SB, just reduced to $58,900 (offers encouraged). 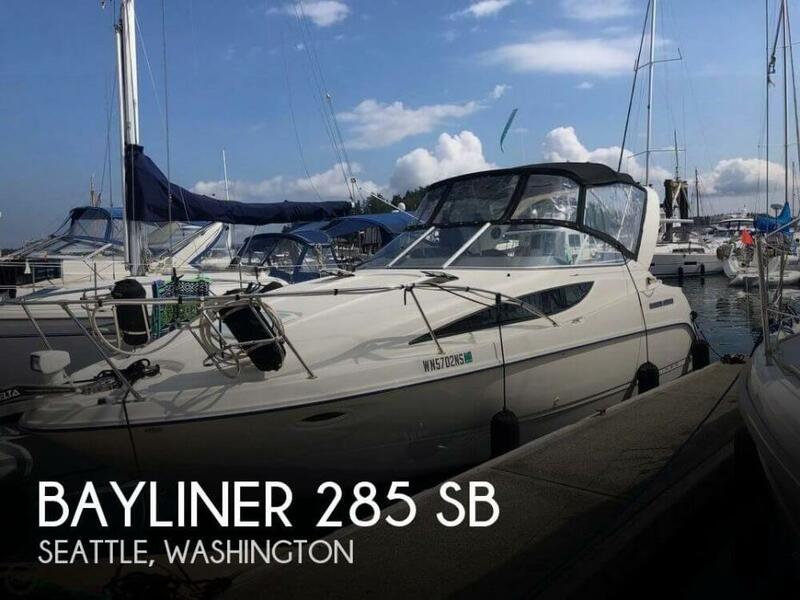 This boat is located in Seattle, Washington and is in great condition. She is also equipped with a Mercruiser engine that has 750 hours. 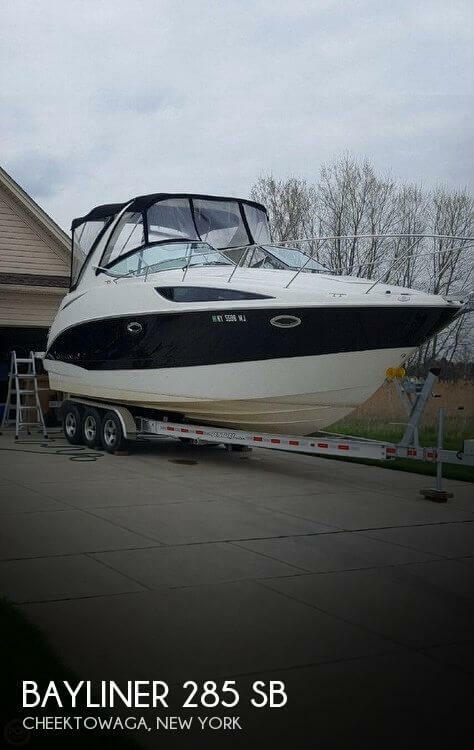 Reason for selling is getting a larger boat. 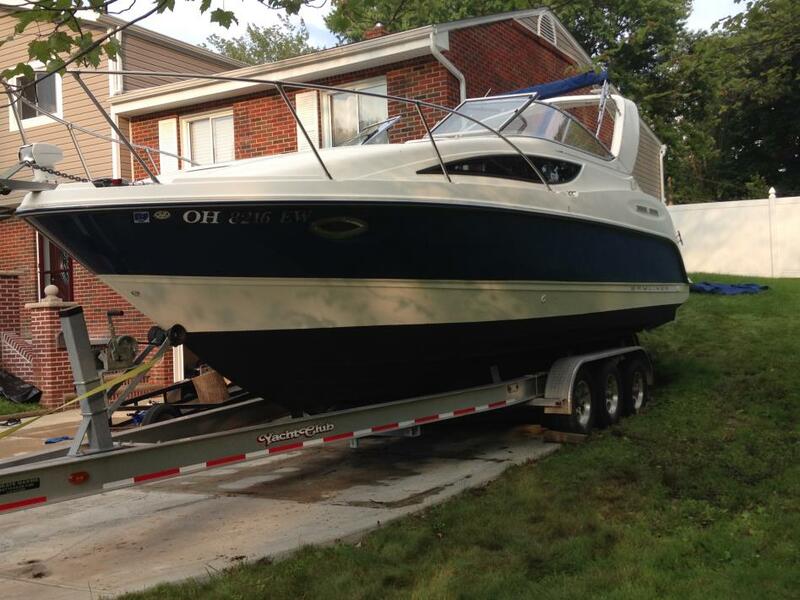 This 28 ft Bayliner has very low hours. The upholstery, curtains, and all appliances and surfaces are in very good condition. There are no holes or tears as far as I could see in any of the upholstery. Stock #036566 Great weekend getaway! Sleeps 8 plus 4 outside! Full canvas. Air Conditioner. 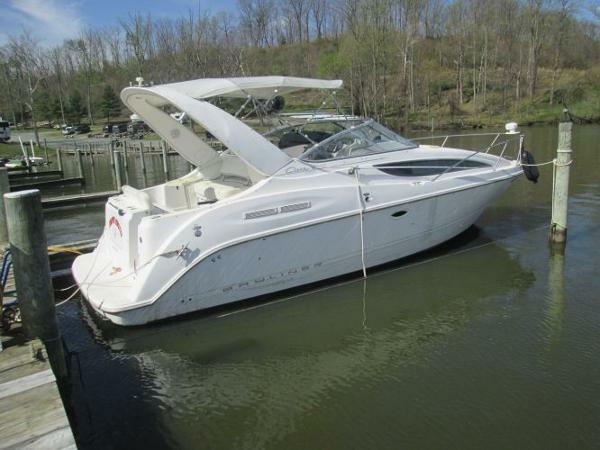 If you are in the market for an express cruiser, look no further than this 2005 Bayliner 285, just reduced to $33,330 (offers encouraged). 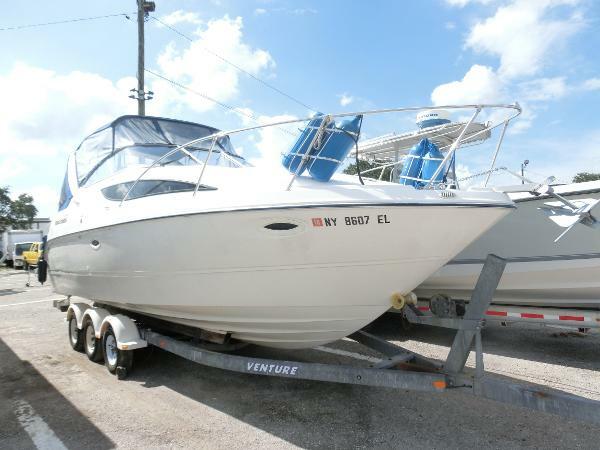 This boat is located in Plantation, Florida and is in decent condition. She is also equipped with a Mercruiser engine that has only 156 hours. Reason for selling is haven't used it enough. 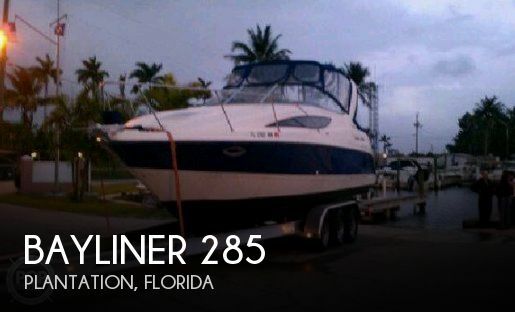 2011 Bayliner 285 Virtually New, Ultra low hours. 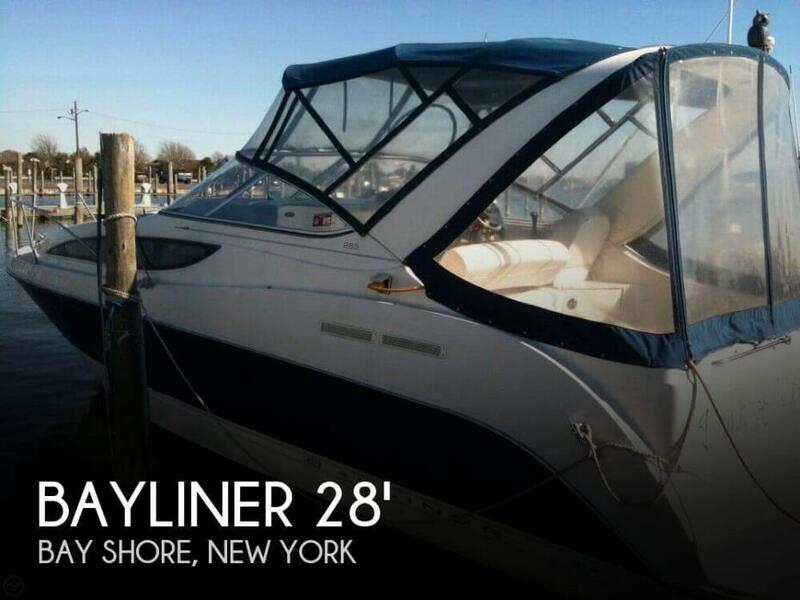 This one owner Bayliner 285 is exceptionally clean and with just 60 hours on the clock, looks and feels new. Very well maintained, with nearly every possible extra, this is an opportunity to purchase an exquisite example of this popular model at nearly half the price of what it cost new. To schedule a viewing or for further information contact Alex Hall on 401 683 3977. 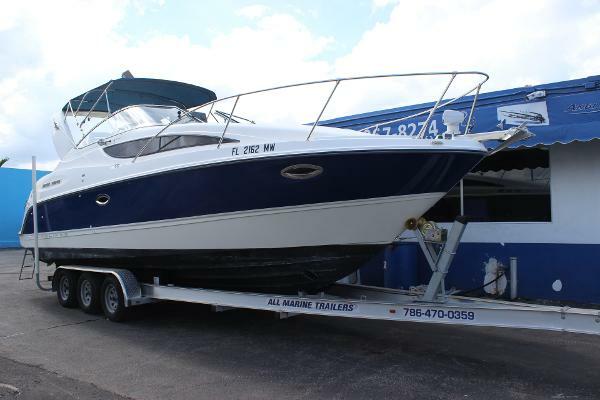 2006 Bayliner 285, 2006 Bayliner 285 - LOADED! !Single Mercruiser 350MPI HorizonRisers done in 2014, New Water Pump & Lower Unit in 2015 Options Include:Radar, GPS & VHFStereo with Helm RemoteRemote SpotlightWindlassPerfect first boat for a small family! 2003 Bayliner 285 Cruiser Bayliner's 285 Cruiser offers a lot of items boat BUYERS look for in a trailable family cruiser at a reasonable price. Aft cockpit has a removable table with seating for 4. L-shaped cockpit settee to port, back rest can move fore or aft depending on seating desired. Helm seat is to starboard. Centerline companionway has steps to cabin that offers, private head to starboard, mid-cabin to port, galley to port. Forward is oversized v-berth. Across from galley is convertible dinette table. 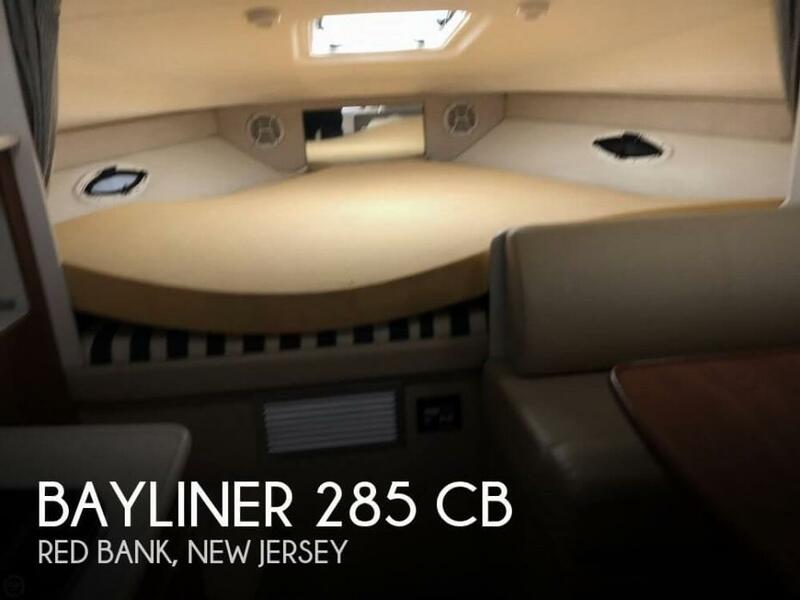 She will sleep up to six: 2 in a oversized v-berth, 2 in the convertible dinette table and 2 in a Large private mid-cabin with a door for privacy. Single Mercruiser 350 mag with new bravo 3 out drive. Venture triple axle trailer included. 2000 Bayliner 285 This is a 2000 Bayliner 285. This boat is in good shape and has always been maintained. She is powered by a Mercruiser 7.4 MPI with 335 hours and is a freshwater boat. Some of the options it comes with include: Brand new GPS, Bimini Top, Canvas Enclosure, Marine Head, AC/Heat, New Batteries and much more.